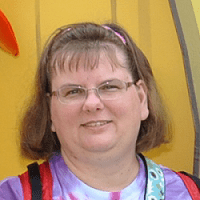 I was invited to bring my family to see Disney On Ice free of charge, so I could share our experience with you. On Wednesday night, we went to see Disney On Ice Princesses & Heroes at the Giant Center in Hershey! DS11 really enjoyed the last Disney On Ice show (Let’s Celebrate!) we went to, but he wasn’t so sure about how he would like “all the princesses”. However, I knew one thing about the show he would like, so I was sure he would be fine. As the show began, Mickey and Minnie skated out and talked about wishes and how each person has a wish he wants to come true. Then, we began to look at princesses/princes who had wishes that came true. One of the things that I like about Disney On Ice is that there is so much action! Of course, we are there for skating, but it is nice to have variety like what Disney On Ice provides. It just makes the story more real. 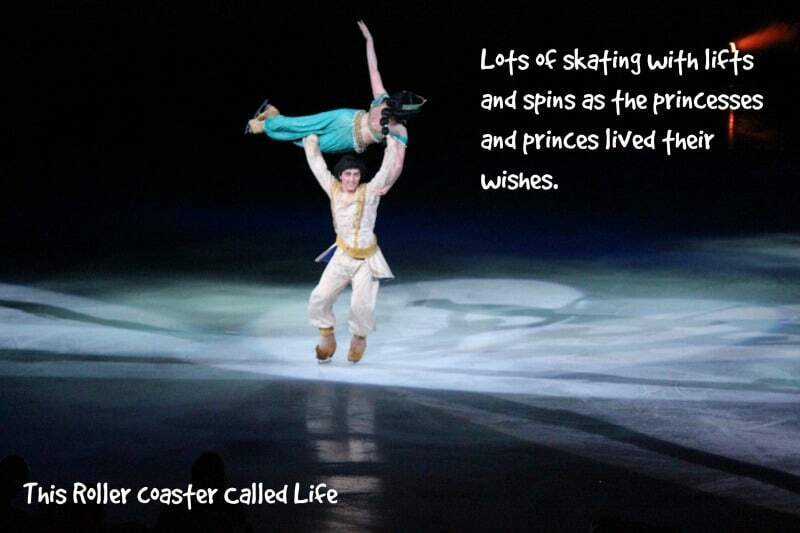 Yes, we do love the skating, and with all the princesses and princes, there are lots of lifts and spins! The quality of skating is just amazing and breathtaking! Also, the costumes are very well done, and while most of princess gowns are different than in “real life”, they look so close to traditional gowns. Tinker Bell and her pixie dust ruled the night as she sprinkled her pixie dust to make wishes come true! I think this was one of my favorite scenes in the whole production! 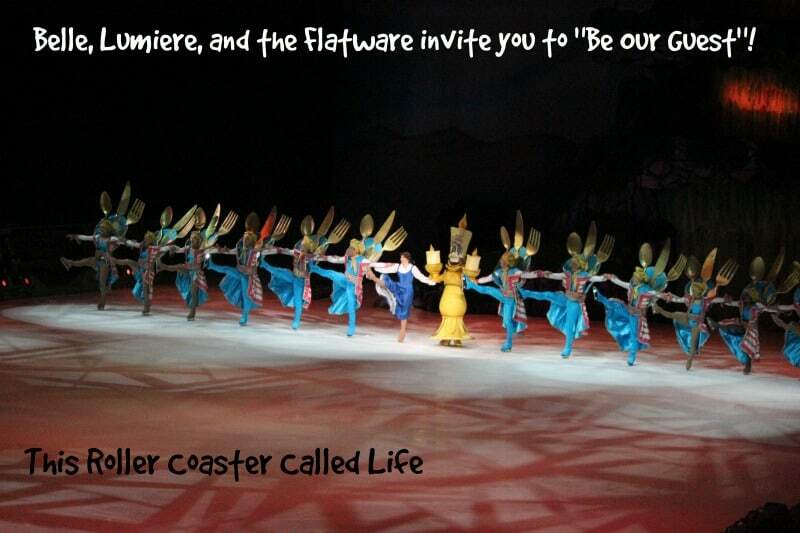 I just loved how the flatware skated around to the song “Be Our Guest” with the number that ended in the high-kick line reminiscent of the Rockettes. It’s amazing that they can do this on ice skates! When the show reached the finale, we were in for a surprise! Fireworks! My son had been enjoying the show more than he thought he would, but this really pushed it over the edge for him. He talked about indoor fireworks the rest of the night and the next morning. I asked my daughter what her favorite part of the show was, but she couldn’t come up with one. She was enthralled the whole way through. She loves to watch skating and loves Disney, so Disney On Ice is a win-win for her. To find out more about Disney On Ice’s Princesses & Heroes, head over to the Disney On Ice website and choose the Princesses & Heroes option under “Shows” on the menu bar. There are options for a coloring sheet, photos, and a short preview video. 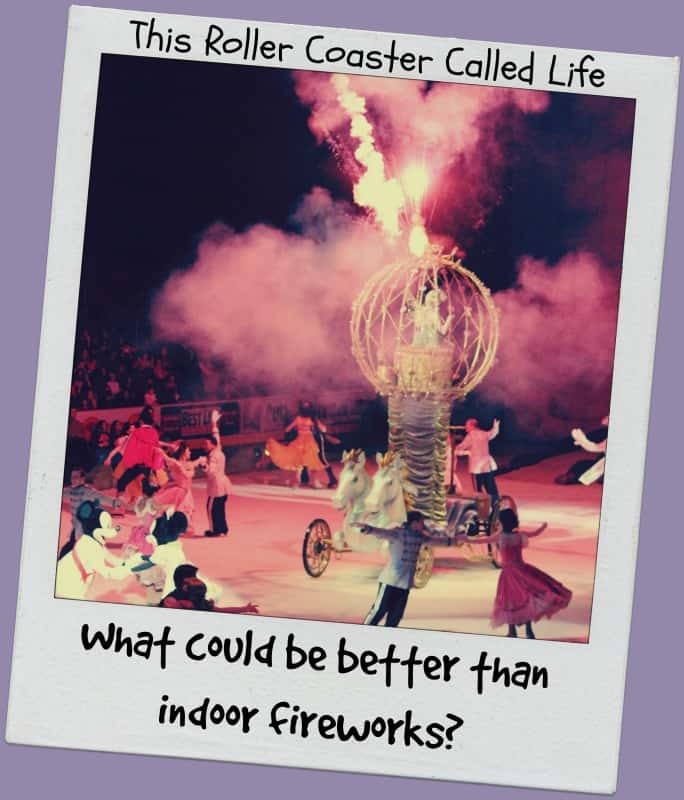 If you would like to see this show at the Giant Center in Hershey, they are performing through Sunday 4/6. You can find out more information on show times here. If you don’t live in the Hershey area, you can find out show dates for other locations on the Disney On Ice website. 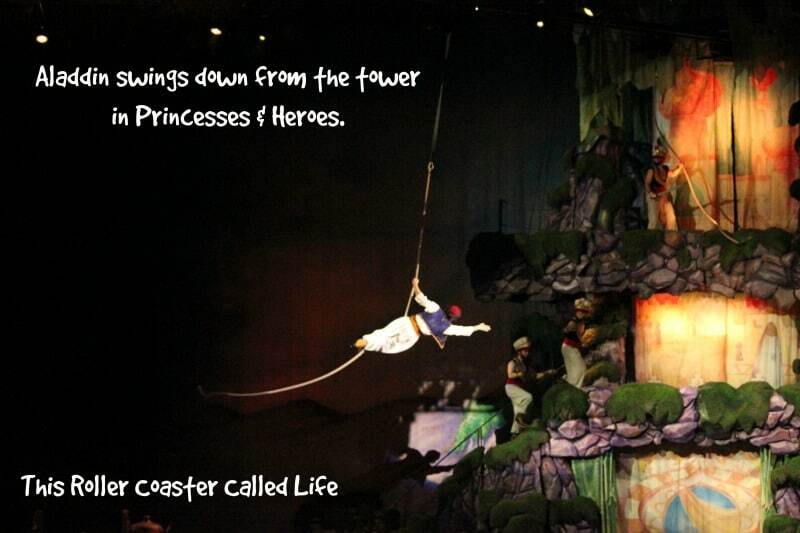 I hope you get the chance to go see Princesses & Heroes! 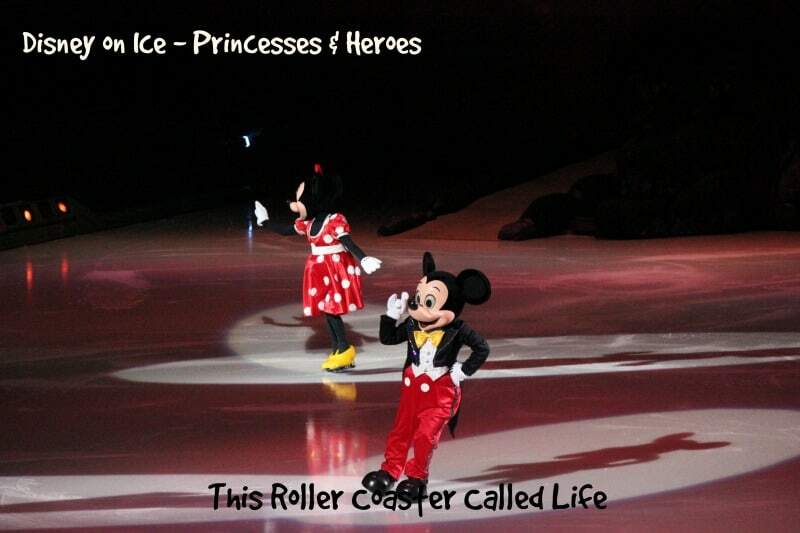 Disclosure: I received tickets for my family to see Disney On Ice Princesses & Heroes. I received no other compensation, nor was I required to write a positive review. All opinions are 100% mine. Great Pics!!! My Children Love Disney on Ice!! We can’t wait for it to come back next year. Thanks for sharing. 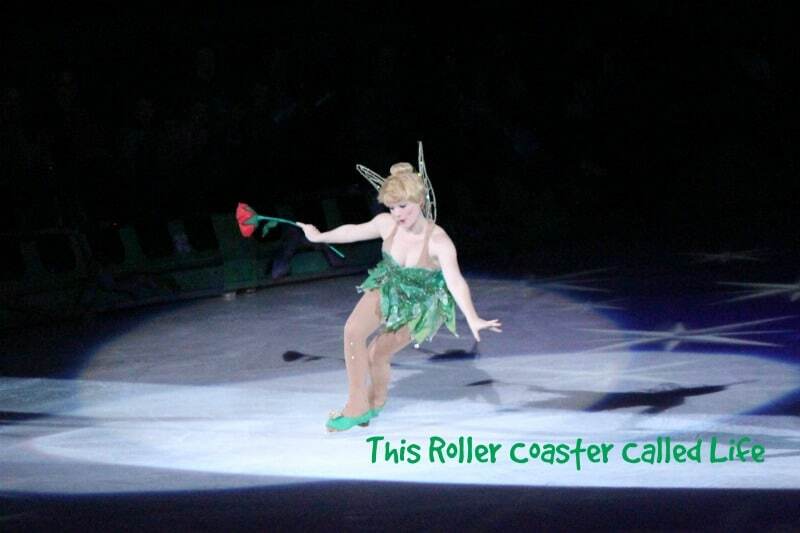 We went to a Disney On Ice show a couple of years ago and it was a lot of fun. Sounds like we really need to go again! My kids always love disney on ice. It’s such great family fun entertainment.